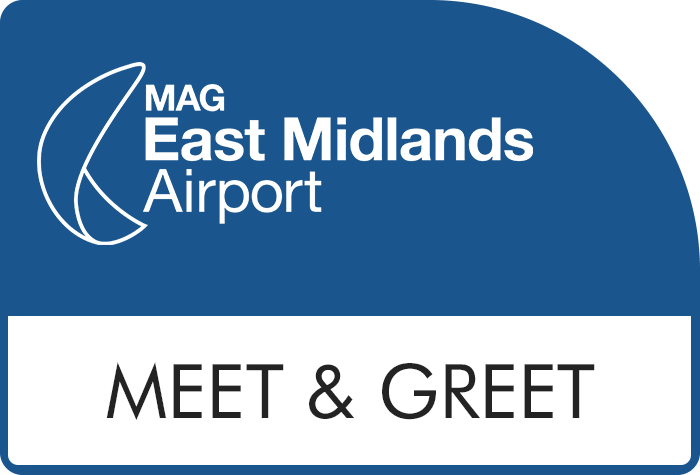 Stress-free parking East Midlands is a new Meet and Greet service offering customers a quick and easy parking option at East Midlands airport. You'll be met at the terminal by a driver, who'll park your car in a secured car park while you're away and bring it back to you when you return. This service is great for those customers who have lots of luggage or travelling with children. Give the car park a call on 07721 738549 when you are 30 minutes away. On arriving at the airport, pull into the bays in row C of the short stay where a chauffeur will be waiting for you. Your chauffeur will then meet you outside departures. It is important if you are running late or early that you call to give as much notice as possible. If you experience any delays on your return journey, just call the chauffeur on 01332 812511 when you are waiting for your luggage. Otherwise, head straight to the pick up point where youll be met with your vehicle. This service is ideal for disabled passengers. Please note that adapted vehicles cannot be accepted for safety reasons. Your car will be stored at Airparks. It is manned with 24-hour security, regular patrols and a high perimeter fence. This car park has been awarded the Park Mark for safer parking. This means that you will be parking in an area that has been vetted by the police to make sure that the site has had measures put in place to create a safe environment. Park Mark awarded parking areas are run by responsible operators who are concerned with your safety and the safety of your vehicle. There is no need for a transfer bus, you'll be met at the terminal by a chauffeur on arrival and when you return from your holiday. From the north: leave the M1 at junction 24 and following the signs to the airport, take the A453 for approximately half a mile. Turn right into the airport. From the south: leave the M1 at junction 23a and follow the signs to the airport. From the west: follow A50 to junction 24 then follow the signs to East Midlands airport. On arrival at the airport please follow signs for drop-off point. If for any reason you cannot get through to the chauffeur mobile number, please contact us. When you collect your car from the pick-up point on return from your holiday, there is a fee of £1 to exit the drop-off car park. If you go over the 10 minutes, you will need to pay the airport's standard fee to exit. If you are bringing large items with you, we suggest you check beforehand that your airline will accept them for carriage. It is the responsibility of the vehicle owner to ensure that the vehicle is roadworthy, holds a valid MOT certificate and displays a valid road tax licence. Please note, this car park cannot accept bookings for minibuses, high-sided vehicles, mobile homes, lorries, caravans or trailers, even if multiple spaces are booked. There is a maximum height limit on all vehicles of 2.10metres (7 feet).